There’s LOTS of music in this world — it’s hard to know where to begin! But we assure you, if you follow this list of greats, your journey deeper into the wonderful world of delightful sounds will be a fruitful one. Thanks to science, we’ve determined that you’re 100 percent guaranteed to enjoy all 10 bands on this list — if you do not, we will send you an official Certificate Of Wrongness, suitable for framing. Enjoy! Tacocat is an up-and-coming Seattle band who released their second album, NVM, last year, and it’s great. Angular sounds and garage rock production combined with classic pop harmonies and short enough to keep things moving. And well, honestly, if you’re not into bouncy feminist rock, I’m not into you. AJJ, (formerly the Andrew Jackson Jihad) reminds me of a scrappier version of the Mountain Goats — more jittery, nervous, angry and less self-assured. But it’s that nervous energy, coupled with angry lines like, “And I give a thank-you to my father for not raising me/And I give a finger to my step-father for beating me” that makes the band a must-listen. To continue the Mountain Goats thing, their earlier stuff was lo-fi, but their newest album, The Bible 2 is much more lush. You might actually already know how awesome Janelle Monae is — if so, good on you! Gold star! If you don’t, however: IT’S NOT TOO LATE. Monae combines soul, rap, afro-futurism, queer themes, sci-fi, and spins out a narrative about illegal love with incredibly catchy songs. If that doesn’t sell you, Prince guested on her latest, The Electric Lady. Yeah, PRINCE. Her backing band, Deep Cotton, also released a free mixtape a year ago which is also very worth a download. Cardiacs are the oldest band on this list, yet the most obscure, at least in the USA. None of their records were released outside of the UK until recently — digital distribution to the rescue! They’re a hard band to categorize; they take influences from all over—- The Residents with hooks, Frank Zappa without the juvenalia, progressive rock sans wanking — but combine them into something strange, new and beautiful. They had one minor hit in the UK, (“Is This The Life?”), a classic slice of early 90s alterna-britpop, but wholly unrepresentative of anything else they put out. “R.E.S.” (above) is a better representation of the band. Other than songwriter/vocalist Heloise Williams, Heloise & the Savoir Faire changed the band’s lineup completely between albums. Their first album Trash, Rats & Microphones is a dirty, grimy, sensual slab of garage disco, while the followup, Diamond Dust is an atmospheric, electronic affair. If you’re looking for a Goldfrapp-based frame of reference, Trash is to Supernature as Diamond is to Head First. Fulks’ entire discography is golden, but his best album is Georgia Hard. It’s a perfect collection of beautifully sad songs, upbeat leavin’ songs, a couple of hysterically funny ones, and a chilling murder ballad called “Coldwater, TN”. Georgia Hard is essential to any collection. The rest of his stuff is too. If you only know the Fiery Furnaces’ brand of experimental indie rock, you may be surprised that vocalist Eleanor Friedberger’s solo records are in the vein of classic pop. However, if you only know the Furnaces, you’ll not be surprised at her gorgeous voice, beautifully framed and showcased here. The retro-styled production doesn’t date the record, nor is it derivative — instead, it’s just something that sounds like it could come from any era and be the best record of its time. 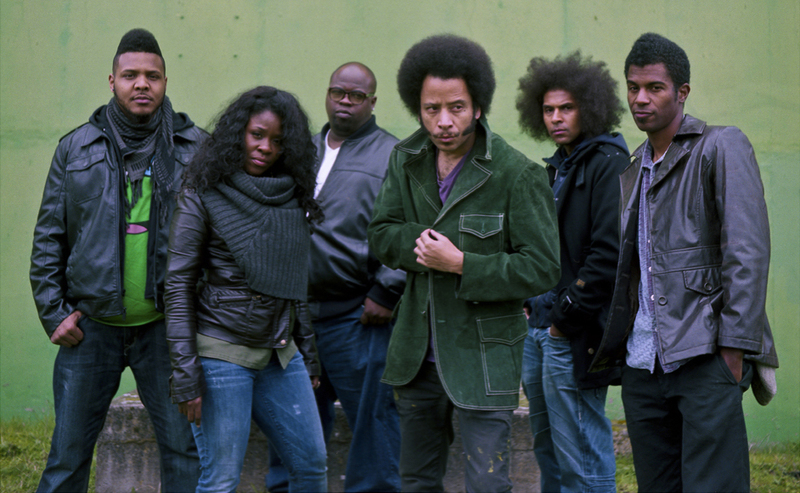 Marxist hip-hop group The Coup have been around for ages, but they’re never become as big as they deserve to be: NUMBER ONE ON EVERY CHART. Then again, the Truth doesn’t always sell records. Their combination of brilliant lyricism, political action and great music — all performed live — is downright magical. But it’s the kind of magic that makes you wanna rise up and overthrow something. Their most recent album, Sorry To Bother You was my favorite album of 2013 — and tracks like “The Magic Clap” or (“The Guillotine”) illustrate why. Who don’t like power-pop? Wrong people, that’s who. Sloan knows the truth. The Canadian quartet have been putting catchy, literate records out for over twenty years, and their newest double LP, Commonwealth, is one of their best. Each side of the double LP is written by a different member of the band which gives a hint why they’re so great. Most bands are hard pressed to have one good songwriter. Sloan have four, each professors of pop. So “Barbra Streisand” was absolutely everywhere for a while, but does the LP Quack have staying power? Maybe not — it seems very much of the moment… but since that day is still going on, it’s all good. They use collage to make poppy dance tracks that are super fun, and Quack contains quite a few cuts that’d be great for mixtapes five years down the line…. if mixtapes still exist then… which they probably won’t.